Greg Webber’s decade-long creation could be realized by next summer with Tunnel Vision Wave Park if all goes to plan. Quotes and information from Gold Coast Bulletin. Tunnel Vision Holding Pty Ltd, directed by skate legend Ben Mackay has recently entered into a 20-year partnership with Webber Wave Pools to bring what will be known as Tunnel Vision Wave Park to Stapylton on the Gold Coast. The development plans which are to transform 95 hectares of farmland beside the Pacific Motorway are expected to be prepared by the end of the month. 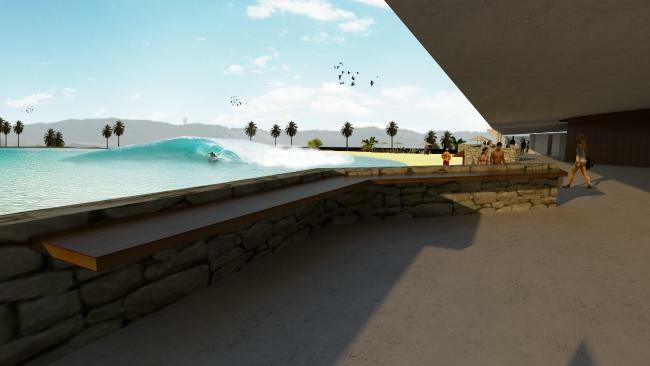 Early claims are stating the wave park could manufacture 500 waves per hour that are as big as two meters. Greg Webber, renowned board shaper- now wave pool developer, says he’s been designing the technology for the better part of a decade. He’s stated many times that this technology will be the best at creating waves. 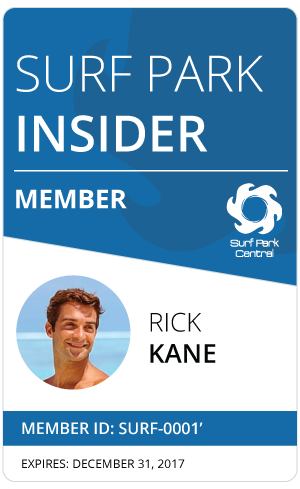 If all goes to plan millions of Aussies will be getting 20-second shacks, not at Kirra but in a pool. We’ll stay on top of this project as new developments surface. You really need to research the article which has been appearing on many sites. I’ve heard through the grapevine that the articles are a beat up and there is still no secured deal with either Greg Webber, Ben McKay or the Council involved. Maybe you should be contacting Ben Mackay and the acting mayor of Stapleton, Donna Gates to get the facts about what is really going on. If it’s true that’s fantastic but if it’s just the continuing beat up we have been hearing from Greg Webber for years then I’m not surprised. It would be good to hear form the Council and Ben Mackay to find out what is really going on. Here we are a month down the line and still no reply to my first post (above) and no new announcements anywhere to be seen on the web. I’ve since been told through the grapevine that Greg Webber and Ben McKay aren’t even speaking to each other now?? What’s the real truth about everything that we have been told? Is it just more ‘Fake News’ from Greg Webber to avoid a court action from his long patient shareholders? I’m told that they gave him over a million dollars and have seen nothing in return for their investment. Greg, where’s all that shareholder money gone? You don’t appear to work anymore so was it to support your lifestyle? It certainly hasn’t gone into any pool development. Wave Garden have out performed you with a product that I’m told has huge issues. How about telling all of us the truth this time.